You can't get closer to the fishing, given that you'll be sleeping on top of it. That’s because of its relaxed, friendly atmosphere and longstanding – not to mention outstanding – staff. A floating facility with breathtaking views, guests love being lulled to sleep by the sound of lapping waves. And waking up to the world’s best ocean fishing experience. 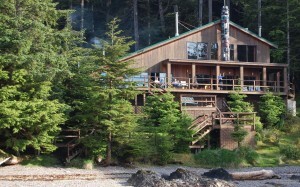 After all, the lodge conveniently sits on top of a feeding ground for millions of Salmon, Halibut and other ocean catch. 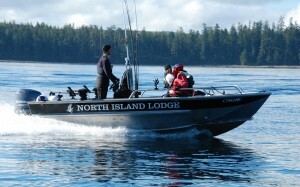 We recommend North Island Lodge for private or corporate groups from 2 to 24 looking for a classic fishing adventure – complete with service-oriented staff, professional guides or, if you prefer, self-guided fishing and hearty, delicious food. 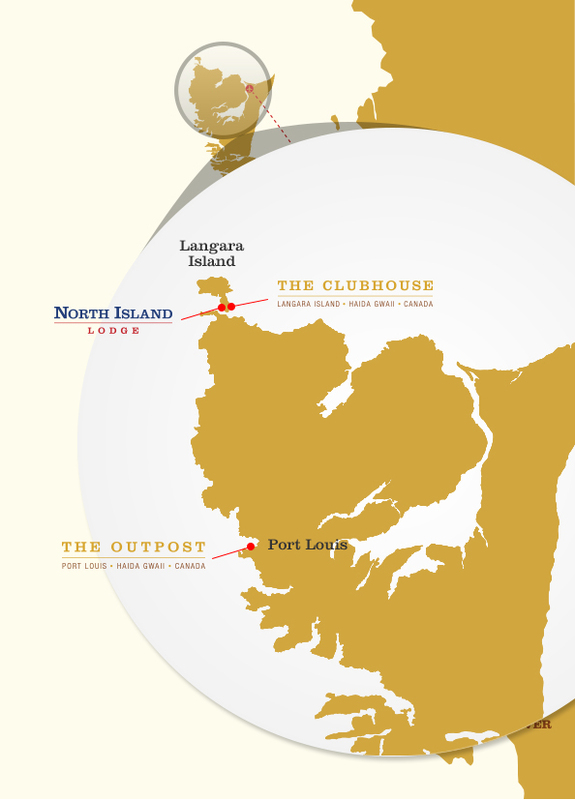 What's Different About Port Louis? Cheers to great food and good conversation. Mealtime is always a highlight at North Island Lodge. We aim to consistently delight our guests with wonderful fare that hits the spot after a long day of fishing. 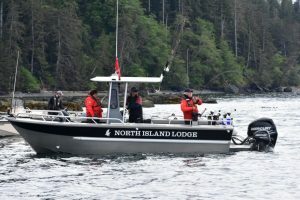 Look forward to grade-A goodness when it comes to meat and poultry, as well as healthy options – including fresh specialty and organic greens grown right in Haida Gwaii. With our team of chefs in the kitchen, we assure you, you’ll never leave the table hungry. 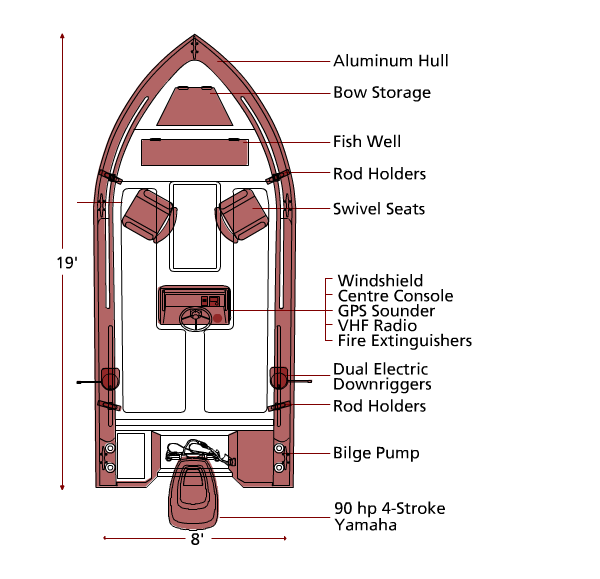 Float off to sleep, quite literally. Stepping in to the lounge at North Island Lodge is like stepping into your own living room – if your living room had sweeping 180º views of Parry Pass and Lucy Island. Sink deep into a well-worn leather chair with a celebratory drink after a triumphant day of man versus fish. 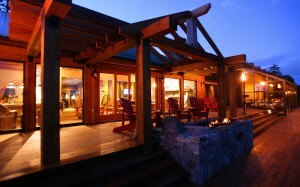 Swap stories while watching the sun slowly set Haida Gwaii style on our expansive sundeck. Enjoy our large screen satellite TV that adds fun and entertainment to the mix. Then shuffle off to bed in one of twelve cozy rooms. Designed in a warm, rustic oak decor, each one is suitable for single or double occupancy with personal ocean view, plush down duvets, private en-suites and all the amenities to make your slumber an exceedingly sound one. 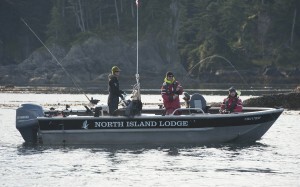 Guests of North Island Lodge board 19-foot, 21-foot Eaglecraft boats and 24-foot Northwest boats for their fishing adventure. 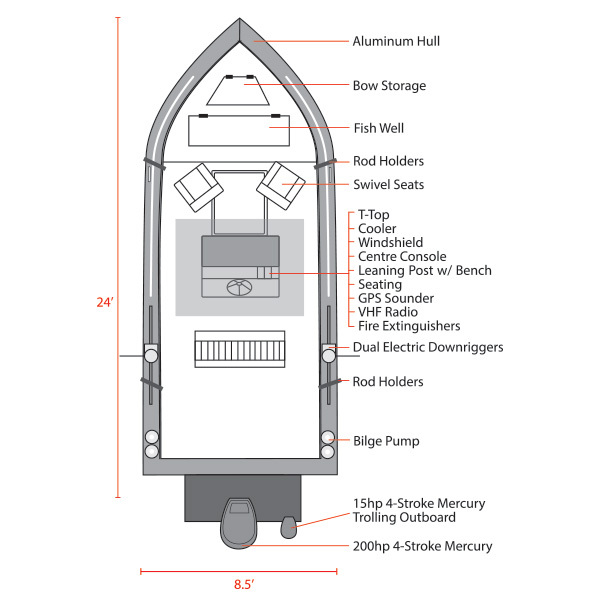 Sturdy enough to handle anything the Pacific can throw at them, these aluminum boats are perfectly designed for the Langara Island Fishery and they’re fully equipped with top of the line gear. In the mornings, they’re also equipped with delicious baked goods. 2-3 self-guided guests or 2 fully-guided guests. 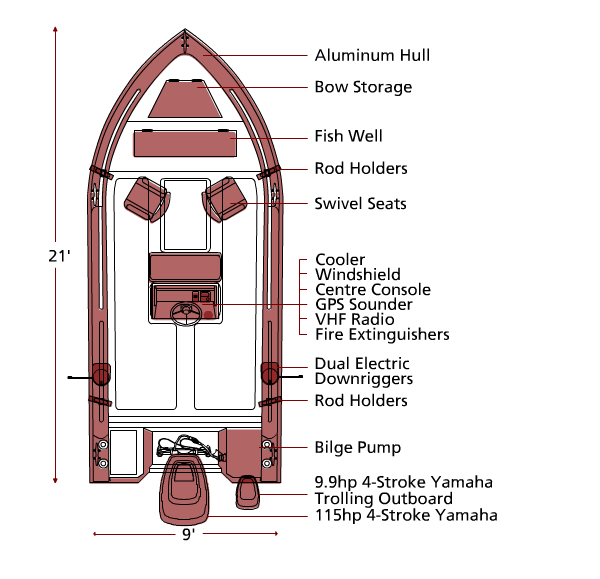 Repeat guests and expert fishermen can venture out on their own in our well equipped 19’ Eaglecrafts. Whether you’re coming up with a group of buddies, as a couple, or are booking a corporate fishing adventure, our knowledgeable Sales Associates will help you create the ideal experience. Below is a description of our all-inclusive trip packages. Each three or four-night package can be fully customized to suit your needs – from personal menus to special wines to bespoke logoed jackets or golf shirts. So don’t be shy to make a request. After all, it’s our job to make your trip the memory of a lifetime.